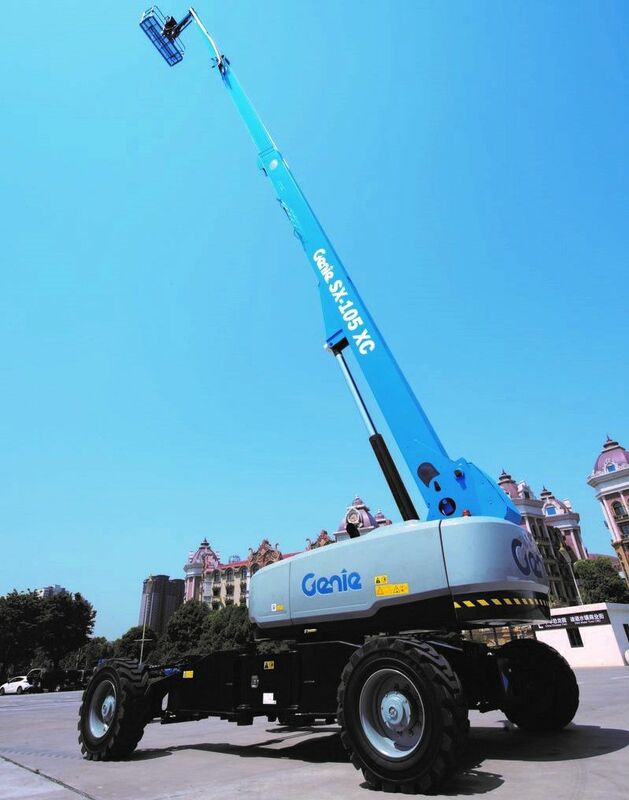 The Genie SX-105 XC provides a 34m max. 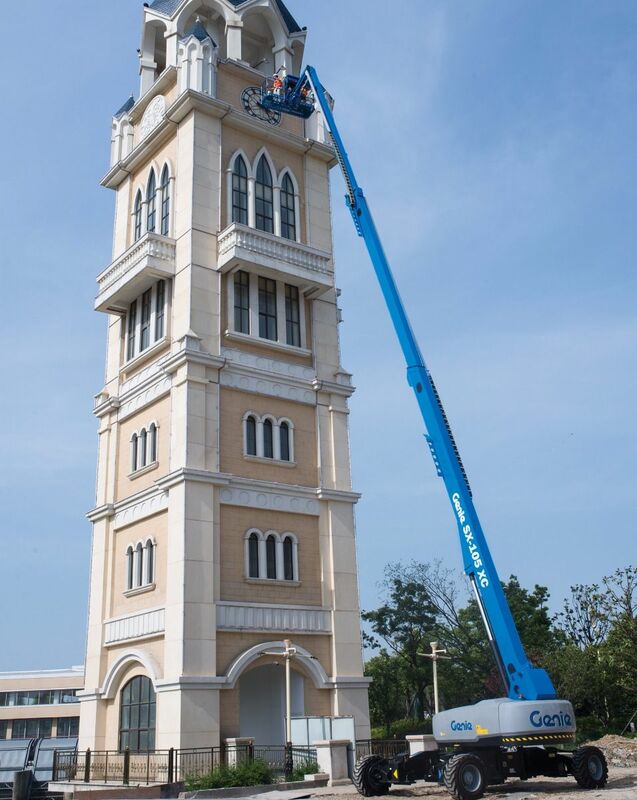 working height and outreach of up to 24.4m, offering a great working envelope with a lifting capacity of up to 454kg and provides two safe working loads – 454kg with a restricted envelope or up to 300kg with unrestricted operation, which allows up to three people with tools to work on the platform. 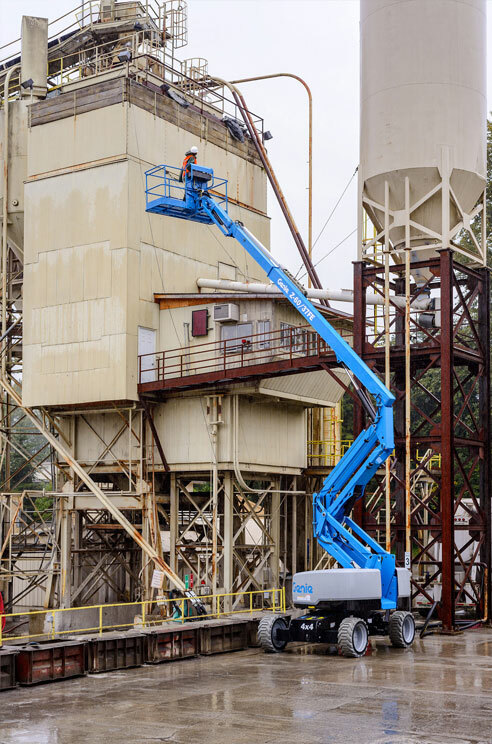 The Genie SX-105 XC 4WD booms are also designed for productivity with the traction and drive speed you need to get around the job site and to the work area. 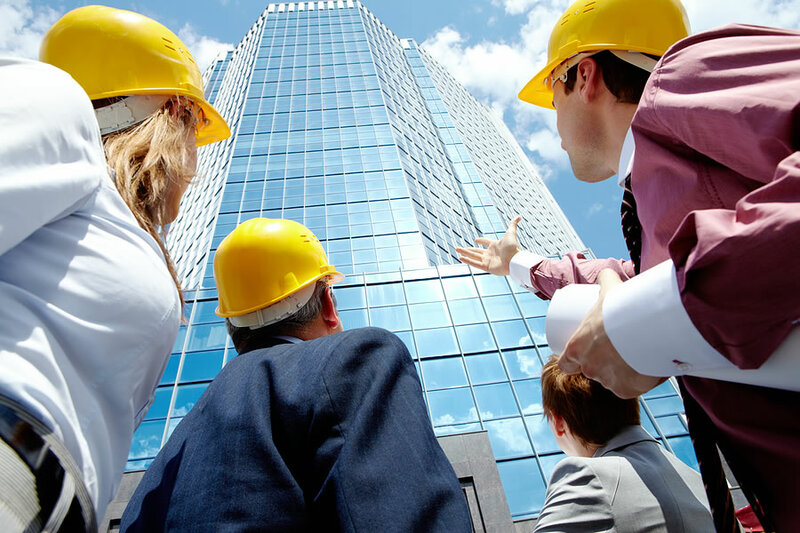 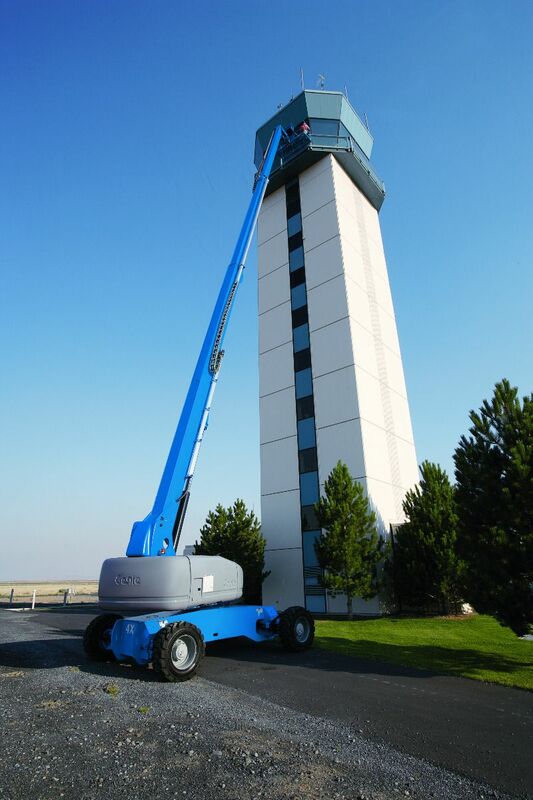 It has a telescoping job which delivers 135° up/down rotation and can be driven when working at full height. 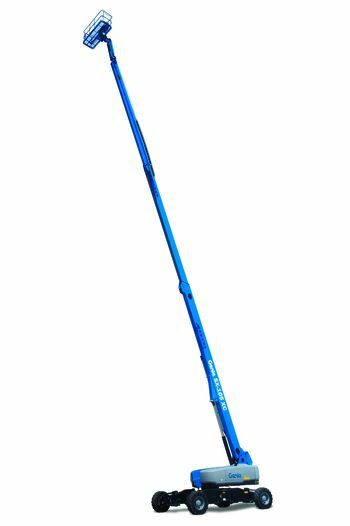 The new mini XChassis axle feature means axles can be extended for additional stability.